The Internet of Things (IoT) is one of the most disruptive suite of technologies the world has ever seen. It is fundamentally changing business processes and improving efficiencies in ways we have never seen. However, IoT is a complex subject that leverages a host of integrated technologies, including wireless network architectures, data analytics, and machine learning. This training course will introduce you to the technical foundations of IoT, from the sensors and actuators, through secure IoT network access technologies, all the way to the core aspects of big data analytics and machine learning. However, understanding the underlying technologies is only the beginning. This course will further discuss how these technologies are being used in various industries and will explore best-practice architectures that can be leveraged to harness the power of IoT. You want to learn how IoT can be used in key industries, including Smart Cities, Transportation systems, Manufacturing, and others. 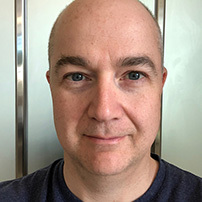 Rob Barton, CCIE #6660 (R&S and Security), CCDE 2013::6 is a Principal Systems Engineer working in Cisco's Digital Transformation and Innovation group. Rob is a registered Professional Engineer (P. Eng) and has worked in the IT industry for over 20 years, the last 17 of which have been at Cisco. Rob Graduated from the University of British Columbia with a degree in Engineering Physics. Rob is a Cisco Press published author, with titles including QoS, Wireless, and IoT. Over the past five years, Rob has worked on some of the largest IoT deployments in the world, and is an expert in several IoT-related industries, such as utilities. His areas of interest include wireless communications, IPv6, IoT, and industrial control systems. Rob is also a multi-year recipient of the Cisco Live Distinguished speaker award. Jerome Henry is Principal Engineer in the Enterprise Infrastructure and Solutions Group at Cisco systems. 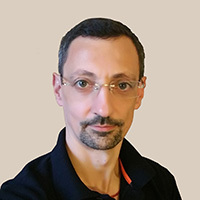 Jerome has more than 15 years experience teaching technical Cisco courses in more than 15 different countries and 4 different languages, to audiences ranging from Bachelor degree students to networking professionals and Cisco internal system engineers. Focusing on his wireless experience, Jerome joined Cisco in 2012. Before that time, he was consulting and teaching Heterogeneous Networks and Wireless Integration with the European Airespace team, which was later acquired by Cisco to become their main wireless solution. He then spent several years with a Cisco Learning partner, developing technical courses, and working on training material for new technologies. He is certified wireless networking expert (CWNE #45), CCIE Wireless (#24750), CCNP Wireless, developed several Cisco courses focusing on wireless topics and authored several books and video courses on Wireless, IoT and networking. Jerome is also an IEEE member, where he was elevated to the grade of Senior Member in 2013, and also participates to Wi-Fi Alliance working groups. With more than 10000 hours in the classroom, Jerome was awarded the IT Training Award best Instructor silver medal. He is based in RTP, NC. Types of IoT – industrial, commercial, etc.